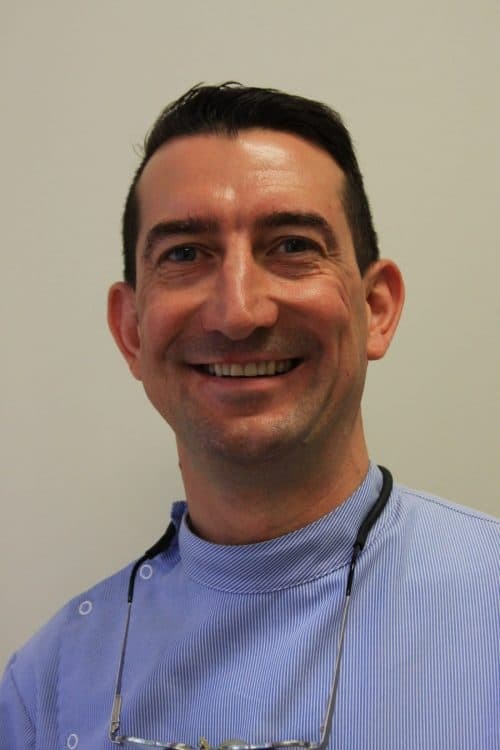 Dr Nick Jowitt is the owner and principal dentist at Canberra Dental Care. With 19 years experience he is able to meet all your general dentistry needs. He is committed to giving every patient confidence when they smile. Dr Nick Jowitt graduated from Manchester University in 1998. He practiced in the UK in both the NHS and private practice until 2003 when he made the decision to move to Australia. In November 2008 he became an Australian citizen. He worked for 1 year in Port Macquarie and Wauchope before moving to Canberra in 2005. After working as an associate dentist for another practice he bought his own practice, City Walk Dental Care, in 2007. In 2010 he decided to do a complete refurbishment and moved to the current location, on Allara St, and so Canberra Dental Care was created. The vision for Canberra Dental Care was, and still is, to give patients the best quality dentistry. Dr Jowitt believes that good oral health starts with prevention. This is why he has 2 surgeries dedicated to Dental Hygienists. By complimenting the restorative dentistry with the preventative his aim is to give you confidence. Dr Jowitt is a member of the Australian Dental Association (ADA) and since 2015 has been the ACT and Southern Tablelands Branch president of the ADA NSW. He is also a committee member of the ACT Dental Group. Both organisations are focused on the continued education of dentists, something that Dr. Jowitt is passionate about. Dr Jowitt is also registered with the Australian Health Practitioners Regulation Agency (AHPRA). Outside of work Dr Jowitt is a keen hockey player and fisherman (make sure to ask him about the striped marlin he caught in NZ).